tech that lets you teach. tech that helps them thrive. Teach your students in a way they understand, with easy-to-use classroom technology. Express new ideas effortlessly with our wide range of educational tools. Teacher tools that turn lectures into conversations. Give them a screen they want to focus on. A solution that won’t become a headache down the road. Integrates easily with whatever you’re using. Really. Our panels combine everything you need to engage with your students in one classroom focal point. Create a curriculum around our range of document cameras with incredible image quality, high zoom, and much more. The QConnect allows up to 64 students to use their own devices in the classroom, instantly raising your cool factor. Create exams, pop quizzes, and surveys, and get results instantly with guaranteed classroom participation. The patented spring system in Balance Box® mobile stands and mounts makes it easy and safe to move your panel up or down, allowing people of all ages and heights to access the screen in any way they need. Our panels come with Oktopus and Ximbus already installed, so you can get started immediately or you can use your own favorite software. 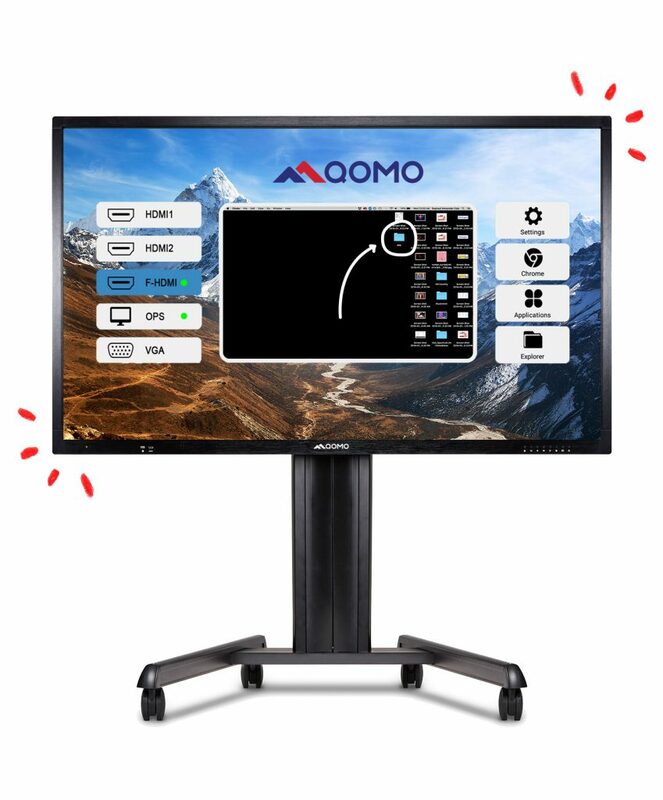 “QOMO provided some very important professional development for our teachers on how to use the new technology to improve student test scores."